WITH the accordance and concurrence of God, may He increase His blessings, SF☆BASIC was founded in the San Francisco Bay Area, California, by local Muslim activists on Wednesday, July 13, 2005. SF☆BASIC is an American Islamic institute dedicated to the awaiting for the Lord of the Age, al-Imam al-Mahdi (صاحب العصر، الإمام المهدي، عليه السلام), and Jesus son of Mary (عيسى بن مريم، عليهما السلام), Peace be upon them, and promoting and representing true Islam (الإسلام) in America and the West. Praise be to God in all matters, we are the first and only Shia Islamic organization established in the San Francisco Bay Area by Lebanese-Americans. Indeed, the founders of SF☆BASIC are originally from Jabal Amel (جبل عامل), Lebanon (لبنان), the land of Abu Zar al-Ghafari (أبا ذر الغفاري، عليه السلام), PBUH, and dedicated to maintaining the Amelite pioneering spirit in the hearts of all Muslims (faithfuls - المؤمنين). The Ambassadors of Islam (سفراء الإسلام): Our main goal is to promote meaningful, effective, and moderate Islamic activism. We believe that the Muslims residing in the West are the ambassadors of Islam and al-Imam al-Mahdi (سفراء الإمام المهدي، عليه السلام), PBUH, and have the duty and responsibility of promoting Islam in their local communities and beyond. Consequently, one of our aims is to transform passive Muslims into activists who have visions and goals. We also seek to cooperate and coordinate our efforts with the already-active Muslims. The Tolerance of Islam (سماحة الإسلام): In recent years, Islam has become more misunderstood due to misinformation by the news media and the evil acts of takfiri (التكفيريين) terrorists who unjustly carry the flags and mottos of Islam. As we reject both misinformation and religious perversion, one of our main missions is to promote the inherent tolerance and mercy of Islam. The investigative journalist Lee Kaplan and Zia Atabay of NITV discussed the unfortunate pro-Hezbollah Internet activities of SABA's Ali R. Mir (a.k.a. Ishraq Abidi). Business Development: The successful promotion of Islam is directly related to the successful development of a prosperous Muslim community. A Muslim community can prosper only when it is self-reliant and includes well-developed businesses. Hence, we seek to promote the Muslim-owned businesses in the Muslim communities and beyond, God willing. Political Representation: As loyal and patriotic citizens of our countries, we seek to expand and increment the participation of the Muslims in the national political arenas. Given that terrorist and rogue elements have hijacked the name of the religion of Peace, Islam, we consider that our foremost objective is to educate both Muslims and non-Muslims about the tolerance, benevolence, and compassion of true Islam. We actively seek to discredit the usage terror as a political tool by both Muslims and non-Muslims. We also intend to influence the foreign policy of our countries and make it more balanced as we resolutely consider justice, not force, to be the prerequisite of Peace. Hence we support the rights of all nations to self-determination. Islamic Unity: Political representation can be achieved only when the Muslims stand united as loyal citizens of their countries. Unity work teaches the participants the importance of compromise, sharing, and struggle. The Communal Glue: Praise be to God in all matters, we are independent Islamic activists. Hence, one of our major aims is to create harmony and balance among the local Islamic centers and serve as a layer of glue in the community: God willing, where some fail to meet, we shall attempt to fill the gap. And where some fail to reach-out to each other, we shall attempt to build a bridge, God willing. Balancing the Community: Unfortunately, there are times when it is impossible to build bridges in the community because certain individuals may choose to entrench themselves behind egotistic trenches and inflict harmful divisions among the members of the community. In such situations, we shall investigate the causes of the divisions, identify and expose the culprits, and work to create and maintain a balance in the community by supporting the oppressed and condemning the oppressor, God willing. Ali Mir (a.k.a. Ishraq Abidi): "HEZBOLLAH [an international terrorist organization]. 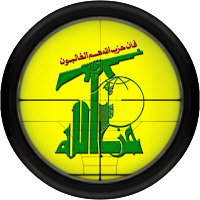 Take The Gun And Fight the Zionists [i.e., Jews] and the Nawasib [i.e., Sunni Muslims]." This is a picture of Ali Mir (a.k.a. Ishraq Abidi), the second son of Nabi Raza Mir, along with pro-terrorism propaganda material promoted by Ali on YouTube. Ali is being groomed to be himself a mullah, just like his infamous father. Ali was overly indoctrinated by his father and his misguided followers and supporters with the Absolute Velayat-e Faqih Khomeinist ideology and Hezbollah terrorism to the point where Ali became an open promoter of violence against Zionists (i.e., Jews) and so-called Nawasib (i.e., Sunni Muslims) on the Internet. Indeed, this is SABA Center's true version of interfaith activities. Accountability: God willing, we do hold accountable those who bring harm to the community, especially those who spread false rumors and engage in slander and defamation. Praise be to God in all matters, it is our objective to expose those culprits within and without the community, especially when we possess undeniable proofs of their misdeeds. Our aim is to undo the harm they inflict within our ranks.